Fresh updates throughout include: newer roof, interior and exterior paint, some new windows, new gas stove, garage door. Soaring 2-story foyer, vaulted living room with fireplace. Formal dining room, open kitchen with windowed breakfast room, family room with fireplace. First floor office (could be guest bedroom) with adjoining main floor bath. First floor laundry room. 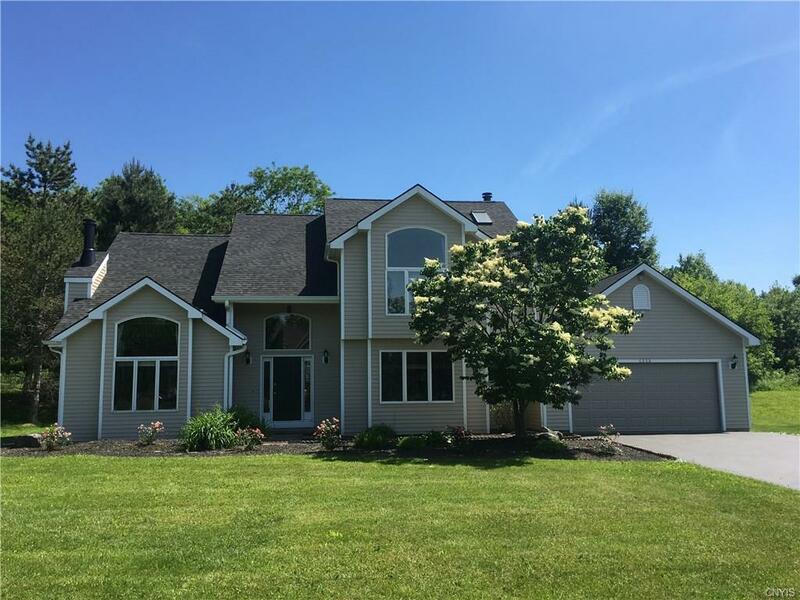 Master with vaulted ceiling, plus 3 neutral bedrooms on second level. Lovely, tree lined lot with mature trees and wonderful flat green space too. Jamesville Dewitt Schools. Quiet country setting minutes to shopping, SU, and hospitals.